Wearing white girl hair extensions make you look more gorgeous, with longer and more attractive hair. It adds volume and make your hair color more vibrant. Especially, if you are a white girl, you would love to wear hair extensions because it helps you have a perfect look for special occasions. However, you should know that it is not easy to wear hair extensions in white girls like in colored girls. Because the hair of white girls is thinner and silkier in its texture, it is more difficult to purchase a good hair extension for your own situation. 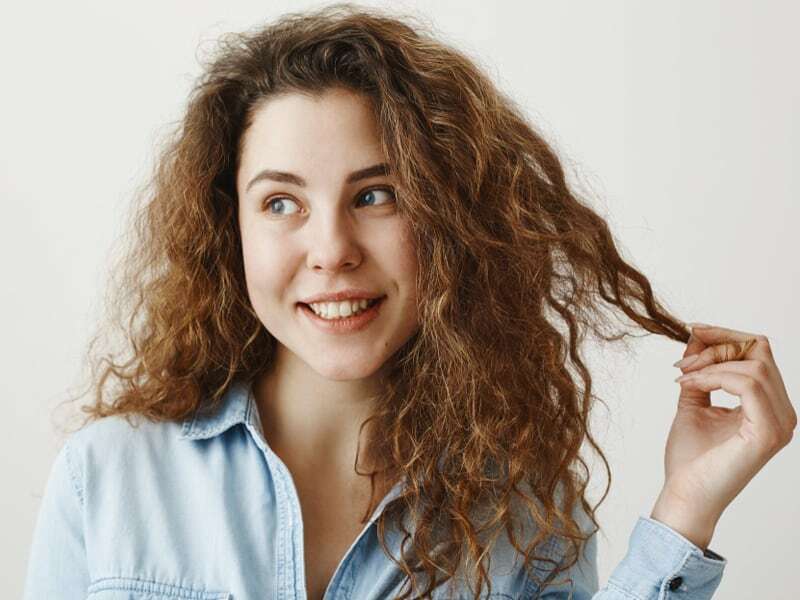 This article will give you basic information about hair extensions for white girls, and how you can do to get it done well as a white girl. 1 What should you know about hair extensions? Wearing hair extensions is the easiest way to add more length of hair into your original hair. You can get long thick hair by wearing a layer of white girl curly hair extensions, either human hair or synthetic hair. Human hair extensions are often got from Asian countries like India. On the other hand, synthetic hair originates from synthetic fibers. It resembles human hair so you do not have to worry about the fake look you may have when wearing synthetic hair extensions. It is more difficult to take care of this kind of hair extensions because it can be badly affected by factors from outside like friction and heat. Thus, it is also not many styles you can make with synthetic hair extensions. However, the strong point of purchasing this hair type is its cheap price. There are three types of hair extensions for white girls to try on suitably. They include curly hair extensions, clip in hair extensions, and braided hair extensions. Let’s continue reading the following information and decide what you should use for a better look as a white girl. With this style, you can add hair extensions into the scalp by using clips as a temporary option. However, because the hair extensions will be clipped on your real hair, your actual hair could not be too thin. Thin hair cannot hold the weight of the hair extensions. This is considered the most economical style of hair extensions. It will take you from 5 – 10 minutes to finish this hairstyle. One good point is you can easily wear or take off white girl clip in hair extensions whenever you want. Secondly, when you have practiced several times, it will not be difficult at all to apply this on your hair. And last but not least, there are tremendous styles and colors for you to try on. Therefore, you can change the look always as you want. Still, this type of hair extensions should not be worn too often. Because of its weight, the hair strands can break your hair texture. You should remove the clips before going to bed, in the end of the day. And because of the cheap price, the quality of the hair extensions is not good for a long time. If you are not so sure whether you can wear clip-in hair extensions because of your thin hair, choose tape-in hair extensions instead. They are light and safe for your hair texture. For this hair styling, you do not have to use any kind of chemicals to wear them on. White girls can easily fall in love with tape-in hair extensions as they can be ironed, highlighted, and styled in whatever way that makes you look more gorgeous. This hairstyle will take you from 1 hour to 1 hour and a half to attach the strands on the real hair. 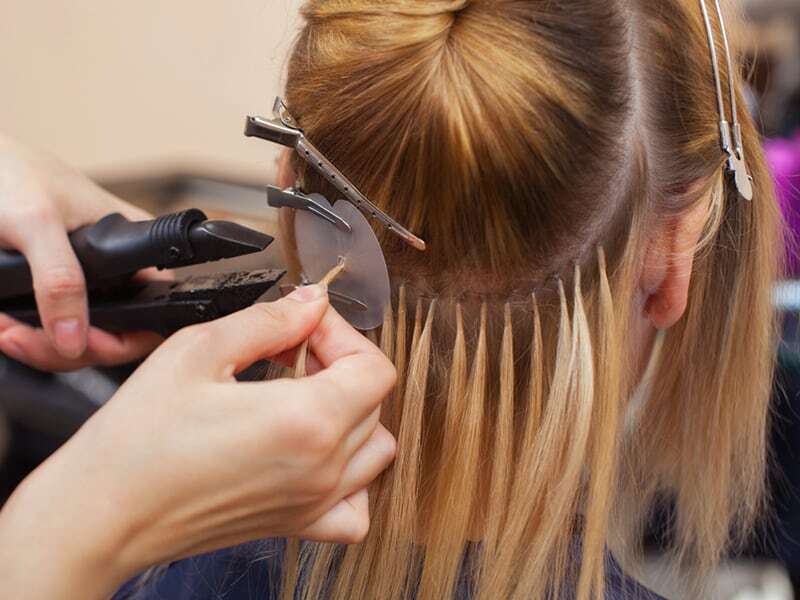 With tape-in hair extensions, you can get them on your hair for 4 to 6 months. This is also the fastest way you can get the extensions on hair. It is not complicated as you will not waste much time to prepare other tools or heater. Thus, it also limits the damage on your hair and helps you to have the most natural look you may expect. On the other hand, there are some bad sides of this white girl hair extensions hairstyle that you may need to notice. First of all, you should not wash your hair or make your scalp sweat because the tape cannot be cured on your scalp. Second of all, any products with silicone ingredients or oil will slip down the hair extensions. If you often swim, this hairstyle of extensions is not for you. And lastly, you cannot hang up and tie your hair once you wear tape-in hair extensions on. To attach pre-bonded extensions on your real hair, you have to heat up the keratin tip at the end of the extensions in advance. This method of hair extensions application has been popular for years. You can try tremendous hairstyle to change your look quite often with pre-bonded hair extensions, like white girl braided hair extensions. It generally takes you from 3-4 hours to attach the hair extensions. Pre-bonded wig or extension is not a common choice for everyone, especially those who have damaged hair. Instead of giving hair a better look, wearing these extensions can even make your hair get worse in condition. In detail, you will need to use a hot glue gun-like machine to stick your hair into the strands of the extensions. 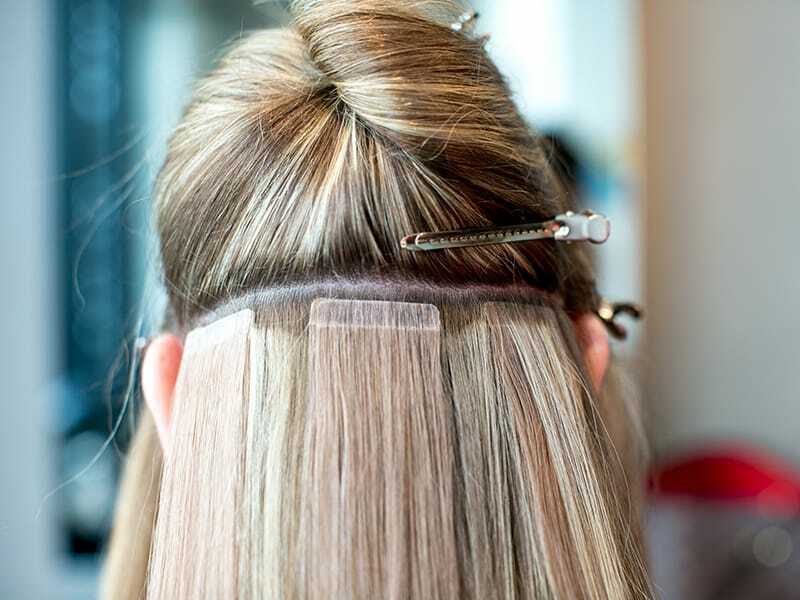 This styling method for hair extensions will last for 6 months in maximum. There are two types of pre-bonded hair extensions that you can use, including hot fusion, and cold fusion method. In case you do not take care of the extensions properly, they will fall out while you cannot reuse it. Furthermore, this method is quite costly for those with a limited budget to acquire a set of pre-bonded hair extensions. If you want to make your thin hair become thicker and more gorgeous, you should consider wearing white girl hair extensions. With the suggestions from Layla Hair above, hopefully, you have pointed out the best way to make the perfect look with the hairstyle.